NIU’s Department of Literacy Education is sponsoring a Literacy Educators & Leaders Networking Event from 5 to 6:30 p.m. Wednesday, Oct. 16, at the NIU-Naperville campus, 1120 E. Diehl Road. This event provides the opportunity for alumni to reconnect with faculty and former classmates as well as to bring new colleagues to introduce them to the literacy community. The networking event will include a brief program by faculty and alumni. Light refreshments will be served and door prizes given away. For reservations, contact Kate Braser at (815) 753-8370 or email kbraser@niu.edu. This event will feature reading prominent faculty speaking on hot topics in literacy. Michael Manderino, assistant professor, will introduce new technology tips for the classroom. Corrine Wickens, assistant professor, will discuss the Common Core State Standards in reading. Laurie Elish-Piper, Presidential Teaching and Engagement Professor and director of the Jerry L. Johns Literacy Clinic, will talk on the importance of parent engagement in literacy. Alumni from the M.S.Ed. in Literacy Education program with a focus on reading will share their experiences working in the classroom. LTCY offers the M.S. Ed. in Literacy Education with a focus on reading in cohorts in DeKalb, at NIU’s regional campuses and school districts. The M.S.Ed. degree leads to earning the Reading Specialist Certification. In December 2013, the department will graduate two reading cohorts from Naperville and DeKalb. 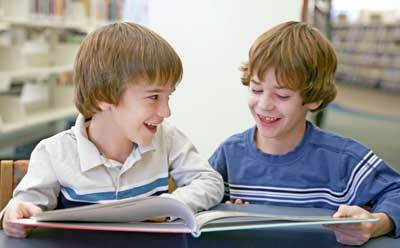 A new reading cohort will begin at NIU-Naperville in spring 2014. An information session will be held at NIU-Naperville at 5:30 p.m. Wednesday, Nov. 6, for interested teachers to learn more about the program. For more information, contact academic adviser Gail Schumacher at (815) 753-7948 or gschumacher@niu.edu.